We provide a huge range of the latest business mobiles with flexible contracts and great data bundles. Whether its SIM only or the newest cutting edge smartphone on the market, we have the package for your business. There are a number of call plan options including pooled data between multiple mobiles, pooled minutes and text or per user based plans. Mix and match mobile phones, data bundles, minutes and text to create a plan perfect for your business. iOS or Android MS Windows, dual or quad core processor? 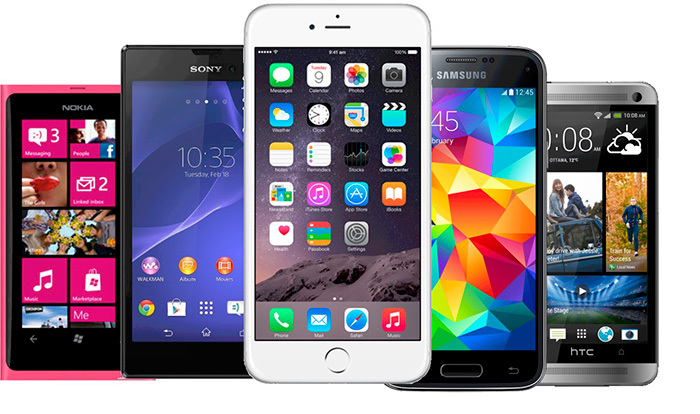 Whatever your preference our range of business mobiles offer the most up to date tech you can buy. Up to 256Gb of storage, water resistance, 12 megapixel camera’s, fingerprint security, 5.1 inch super OLED screens and much more. SOTI MobiControl is an business grade mobile management solution that secures and manages Apple iOS, Google Android, and Microsoft Windows devices. Mobicontrol give you full control of what a business mobile phone can and cant do. Control the installation or role out of apps, access to website content, the devices camera and so on. Total visibility and control for your mobile fleet.